Thai Food dancing shrimp. Bizarre foods of Thailand is a series that looks into the unusual cuisine that most of us would not even attempt trying but are considered delicacies and a savoury snack to the locals in Thailand. While it may be unacceptable to some of us, it has to be admitted that though some of these cuisine may seem rather unpalatable or simply too revolting, we have to bear in mind that “one man’s meat is another man’s poison” does apply in Amazing Thailand! 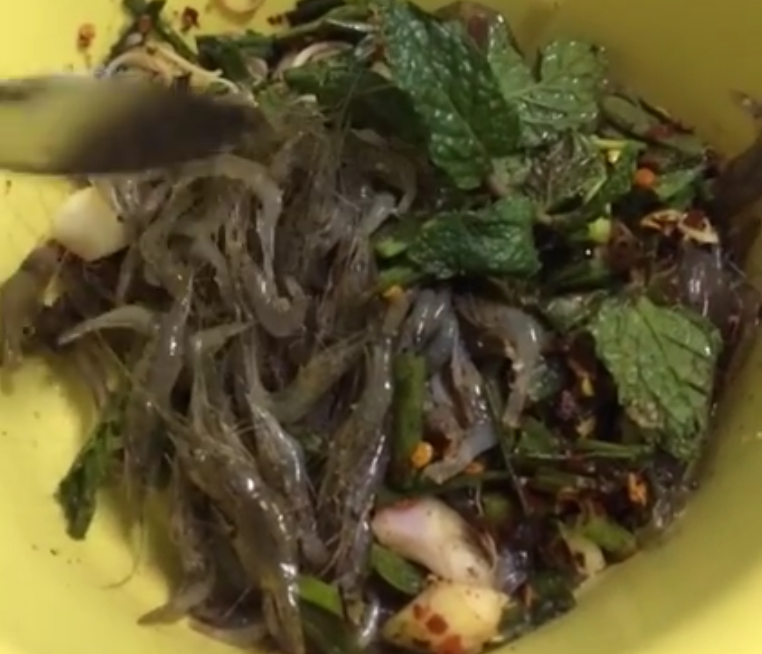 What would you think about eating live hopping baby shrimps? A slight variation to the Japanese prawn sashimi, these little crustaceans are very much alive and literally hopping on your plate. Locally known as “Kung Ten” กุ้งเต้น or in English –Dancing Shrimpsis a dish commonly found in North Eastern (Isaan) Thailand in provinces along the Mekong River. You can also find this dish in Bangkok mostly at the wet market stalls or certain street market stalls where the vendors are from this part of the province of North Eastern Thailand.